Hugo Thienpont (20-08-1961) is a full professor at the Faculty of Engineering of the Vrije Universiteit Brussel (VUB) where he directs the Brussels Photonics innovation center B-PHOT which today counts more than 60 scientists, engineers, and administrative and technical staff. For more than 30 years Hugo and his team have contributed to a variety of fundamental, applied and industrial photonics research and innovation challenges in support of growth and wealth of the European society and industry. He graduated as an Electrotechnical Engineer with majors in Applied Physics in 1984 and received his PhD in Applied Sciences in 1990, both at the VUB. Prof. Thienpont is VUB vice-chancellor for innovation and industrial policy and chairs its Technology Transfer Office. Hugo is also vice-president of Photonics 21, Europe’s Photonics Public Private Partnership. Scientific Output: Hugo has made research efforts in fundamental, applied and industrial photonics. He authored more than 850 Web of Science cited papers. He was promotor of 40 PhDs, edited 22 conference proceedings or special journal issues, authored 10 chapters in books, was key-note speaker at more than 50 international conferences, and is co-inventor of 21 patents. Scientific Awards: Hugo’s research work was internationally recognized with several awards. In 1999 he received the International Commission for Optics Prize ICO’99 and the Ernst Abbe medal from Carl Zeiss for “his noteworthy contributions in the field of photonics and parallel micro-optics”. In 2003 he was awarded the title of “IEEE LEOS distinguished lecturer” for serving as international lecturer from 2001-2003 on the theme “Optical Interconnects to Silicon Chips”. In 2005 he received the SPIE President’s Award 2005 for meritorious services to the Society and for his leadership in photonics in Europe. In 2006 he was nominated SPIE Fellow for his research contributions to the field of micro-optics and micro-photonics. In 2007 he received the award “Prof. R. Van Geen” for his scientific achievements during his research career at VUB and was nominated as EOS Fellow. In October 2007 he received the International Micro-Optics Award MOC ’07 from the Japanese Optical Society. In 2008 he obtained the prestigious status of Methusalem top-scientist from the Flemish government for his research track record in photonics. In 2011 he received the University Medal "Alma Mater Bene Merentibus" of the Warsaw University of Technology". In 2012 he was elected member of the Royal Flemish Academy for Sciences and the Arts and in 2013 he becomes the first recipient of their science communication award. In 2016 KULeuven honors Hugo with the “Belgian Franqui Chair” for his achievements in Photonics. Contributions to Education: Hugo Thienpont is recognized for his contributions to Photonics in Education. In 1993 he initiated and introduced the pioneering Photonics Curriculum for Engineers at the VUB, the first on the European mainland. In 2004 he introduces, together with his colleagues from the Vrije Universiteit Brussel and the Universiteit Gent, the interuniversity engineering curriculum “Master in Photonics” which received the EC Erasmus Mundus quality label. Since 1994 Hugo lectured a variety of optics- and photonics-related courses at VUB, such as Introduction to Photonics, Optical Communication Systems, and Recent Trends in Photonics. Project Coordination: Hugo Thienpont built up a track record as initiator, promotor or coordinator of many strategic research and networking projects, which are financially supported by regional, national and international bodies such as the Fund for Scientific Research Vlaanderen (FWO), the Institute for the Promotion of Innovation by Science and Technology in Flanders (IWT), the Belgian Federal Science Policy Office (IAP), and the European Commission. The largest network he initated is the 6,4 Meuro EC funded Network of Excellence on Micro-optics “NEMO”. In this network Hugo Thienpont coordinated the integration and research efforts of 30 top-research groups from 13 European countries. From 2008-2012 he was vice-coordinator of the European Network of Excellence on Biophotonics “Photonics for Life” (12 partners from 10 European countries and €4 M budget). In 2010 he conceptualized and coordinated the Access Center To Micro-Optics Services and Technologies ACTMOST (13 partners from 10 European countries and €1.5 M budget), a very successful European pilot project to support SME’s with micro-optics innovation driven by their business needs. In 2014 Hugo initiated ACTPHAST, the scaled-up version of ACTMOST that includes 150 experts and the 7 major photonic technology plaforms (23 partners from 13 European countries and €8 M budget), which he currently coordinates with the goal to demonstrate the power and impact of this unique innovation instrument on the job growth, new revenues and new VC funding of 90 European SMEs. All the above mentioned large-scale initiatives, coordinated by Hugo, are recognized as best practices by the EC. Industrial Valorization: Besides academic-oriented research projects Hugo Thienpont has successfully managed more than 20 large-scale photonics-related industrial projects with companies such as Barco, Agfa-Gevaert, TE Connectivity, Punch Graphix, TOMRA, and Umicore. In 2005, under his leadership, the B-PHOT team received the nomination ‘VUB Spearhead for Industrial Valorization’ and renews this recognition and accompanying funding in 2010. Since then B-PHOT is VUB’s best performing research group for tech transfer to industry with a direct income from industrial projects that has been steadily growing with 15% per year over the last 10 years and that attained €1,5M in 2013. Hugo is co-inventor of 21 patents, several of which are licensed to companies or jointly exploited with industry. In 2012 Prof. Thienpont becomes Vice-Chancellor for innovation and industrial policy of the Vrije Universiteit Brussel. 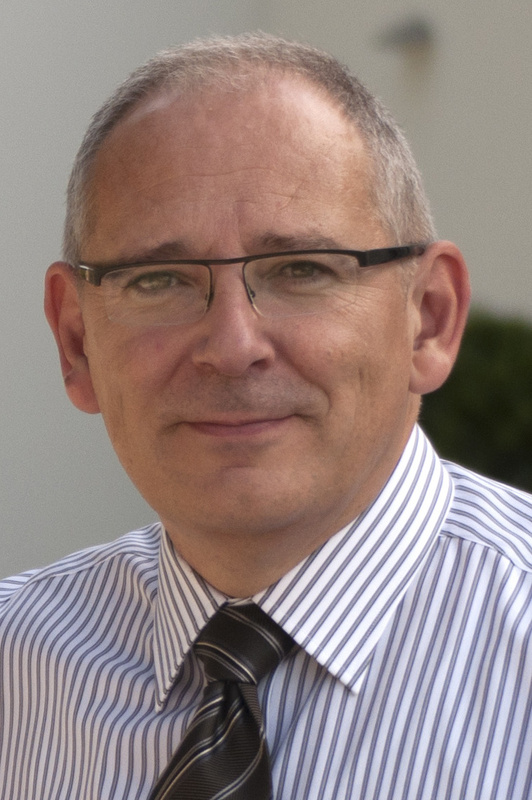 In 2014 he supports the creation of LUCEDA Photonics NV, a joint B-PHOT - UGent – IMEC spin-off. Since 2014 Prof. Hugo Thienpont and his B-PHOT colleague Prof. Francis Berghmans hold the research chair for optical telecommunications financed by TE Connectivity. Services to the Community: Hugo Thienpont is appreciated by his peers for his service to the photonics community. Indeed Hugo has been member of many technical and scientific program committees of photonics-related conferences organized by international societies like SPIE, IEEE, OSA, EOS and ICO. One of his major achievements is the conception and initiation of SPIE’s flagship symposium “Photonics Europe”, which today draws more than 2500 attendees. Hugo has been general chair of this pan-European conference, which was held in Strasbourg from 2004 until 2008 and from 2010 to 2014 in Brussels. He has served as associate editor of 'Optical Engineering' and 'Opto-Electronics Review' and was guest editor of several special issues for Applied Optics and IEEE JSTQE. Hugo served for 6 yearson the board of directors of the International Society for Optics and Photonics SPIE (2004-2010), and chaired SPIE’s Advisory Committee for Europe from 2006-2010. He is also a member of the Board of Stakeholders of the European Technology Platform “Photonics21” and has played an active role in this high-level advisory board for optics and photonics to the European Commission since its foundation in 2005. Scientific Outreach: Hugo Thienpont has been active in the field of scientific outreach with contributions to the EC-funded traveling exhibit “Fascination of Light” , the NEMO educational kit on diffractive optics, the initiation and coordination of the “Photonics Explorer” intra-curricular kit for secondary schools, the creation of the non-profit organization “EYEST” which is responsible for the fundraising and distribution ofthe “Photonics Explorer” kits worldwide, the ‘Photonics Show’ which is performed daily during the Science Week to hundreds of secondary school students, and the UNESCO 2015 International Year of Light initiative.